Caryn Pincus | Pincus Law Group, PLLC. Caryn Pincus is the founder of Pincus Law Group. Ms. Pincus graduated from Florida Atlantic University with a Bachelor of Arts degree in Political Science. She received her juris doctorate from Touro College Jacob D. Fuchsberg Law Center in Huntington, New York. While attending law school, Ms. Pincus interned for the New York State Supreme Court, Appellate Division, First Department. She also interned for the Suffolk County Attorney’s Office working on state and federal litigation and for Nassau Suffolk Legal Services, undertaking trials in their Family Law Clinic. 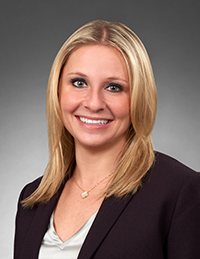 Upon graduation from law school and admission to the Bar in New York, Florida and New Jersey, Ms. Pincus began her career in the area of matrimonial and criminal law. Subsequently, Ms. Pincus held Associate positions in various different areas of commercial litigation including default servicing. In 2012, Ms. Pincus established a New York office focusing on the representation of national mortgage lenders, servicers and financial institutions which is now known as the Pincus Law Group. Pincus Law Group is a federally certified Woman Owned Small Business representing national mortgage lenders, servicers and financial institutions in all aspects of default servicing, real estate transactions and litigation in New York, New Jersey and Florida. Ms. Pincus supervises all firm operations. Ms. Pincus is a member of the United States Supreme Court, the New York, New Jersey and Florida State Bar Associations and is admitted to practice in the United States District Courts of New Jersey as well as in all four New York Districts. Ms. Pincus proudly serves on the Board of Trustees for Adults and Children with Learning and Developmental Disabilities and also serves as a Member on the Quality Services Committee. Ms. Pincus is also a member of the following organizations: American Legal and Financial Network, Women in Legal Leadership, Mortgage Banking Association and the American Bar Association.